Another gray, wet, cold Sunday morning here in paradise. The sun lately seems like a stranger who, on those rare occasions when it appears, I have a vague recollection of once seeing. It’s grim and has me gazing out my window, hoping that the ghost of Tom Joad, like he had somehow stepped right out of The Grapes Of Wrath, might emerge out of the darkness set against the distant pines. This weather puts me in that mood, that grim feeling of that we need somebody to stand against the darker forces of this world. 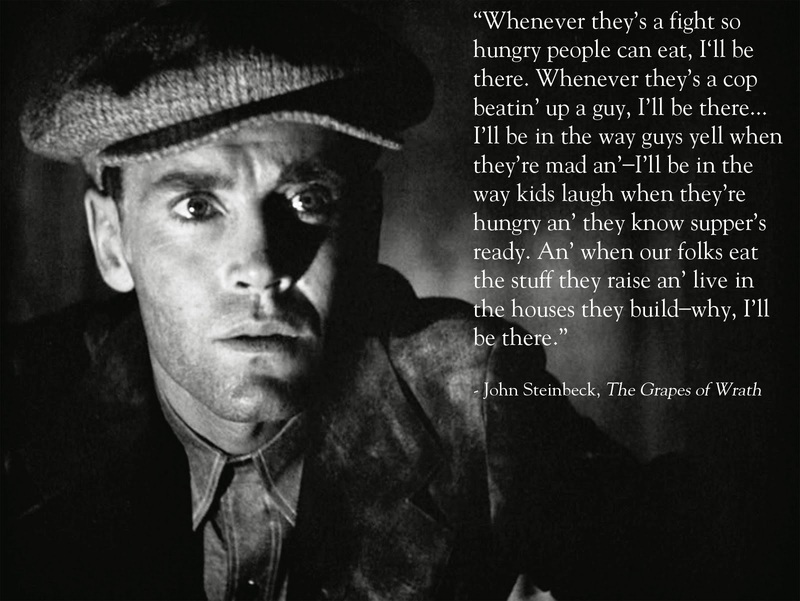 Tom Joad, as dark and ill-fated a character as he seems, still gives me hope that there are still people out there who won’t turn a blind eye to injustice and inequality. People who haven’t been numbed by their own self-interest and comfort. They don’t have to be heroes, just plain people with a sense of decency and an unwillingness to turn their back to the wrongs they witness. We sure could use some more Tom Joads. Here’s my Sunday morning music. It is, of course, The Ghost of Tom Joad, from Bruce Springsteen. Have yourself a day– good, bad or indifferent– and if you see Tom Joad, tell him I am looking for him.